I re-started the Sienna Cardigan from Interweave a few weeks ago, thinking “hey! this’ll be fast and easy! I can use up that yarn!”. 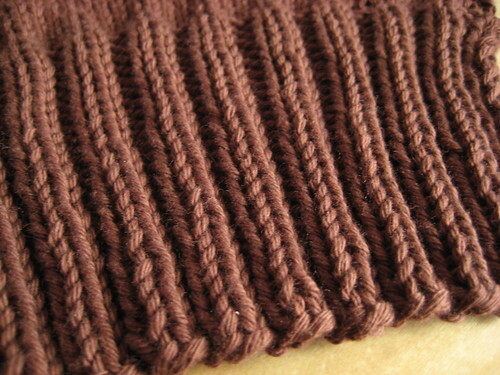 I’m using Knitpicks Main Line, that has been in the stash for awhile – it’s actually working up quite nicely, and the bigger gauge (4 sts/in) works well for it, since it’s quite thick. I knit up one ball – the ribbing and a few rows of stockinette, and then it just sat. And sat. Taking up space on my desk. 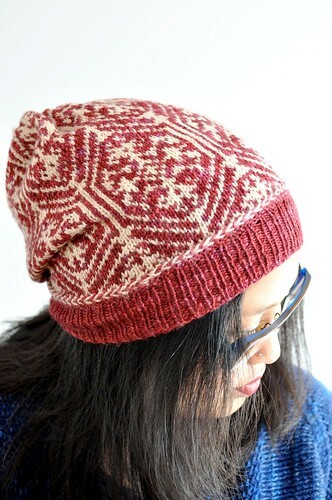 I really want to knit it, but there are other things to knit first! I wanted it for an early-fall sweater, since it is cotton, but I just don’t know if I’ll get to it anytime soon. Maybe when I finish that skirt? But then it’s time for a Rhinebeck sweater! I’ve been musing on Rhinebeck and a Rhinebeck sweater – I definitely want to go, and I’m sure I’ll swing some way of it. So then there’s the sweater. I’d do Road to Golden (from Knitscene) but I’m sure there’ll be other people there wearing it. So I’m thinking my own design, a lace cardigan out of Socks that Rock mediumweight. And I’m not stopping at the sweater – I really want to make a Rhinebeck skirt, too! More on that later. 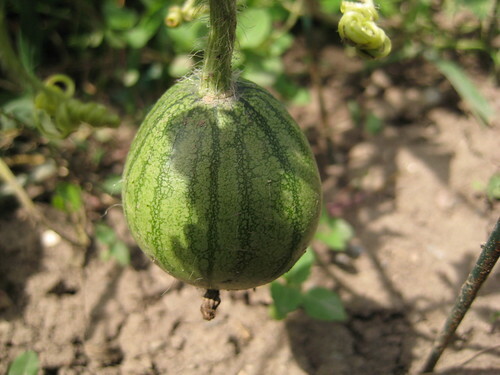 Hey, check out my baby watermelon! Aaahh! So jealous of people going to Rhinebeck! So jealous of everyone’s gorgeous Rhinebeck sweaters!